Excellent optics – wide beam lights up the whole road. It's not just about how much light, it's about where you put it, and the Urban light puts it everywhere. Additional amber LEDs for side lighting makes it a great be-seen light, too. Easy on/off rubber strap mount makes transfering between bikes much easier than lights with a clip-on mount. New button lock-out mode that prevents the light from turning on in your pack by accident. Relatively expensive (although I think it's definitely worth the price). The pre-production unit of the Urban 550 I received had some minor issues with charging, but these have been resolved in the final version sold to customers. Mounting strap may not be durable long-term, but it is user replaceable. Previous years' Urban lights are also always available at a lower price. Right now you can get an Urban 400 - which would still be more than enough light for most people - for just $86 on Amazon. 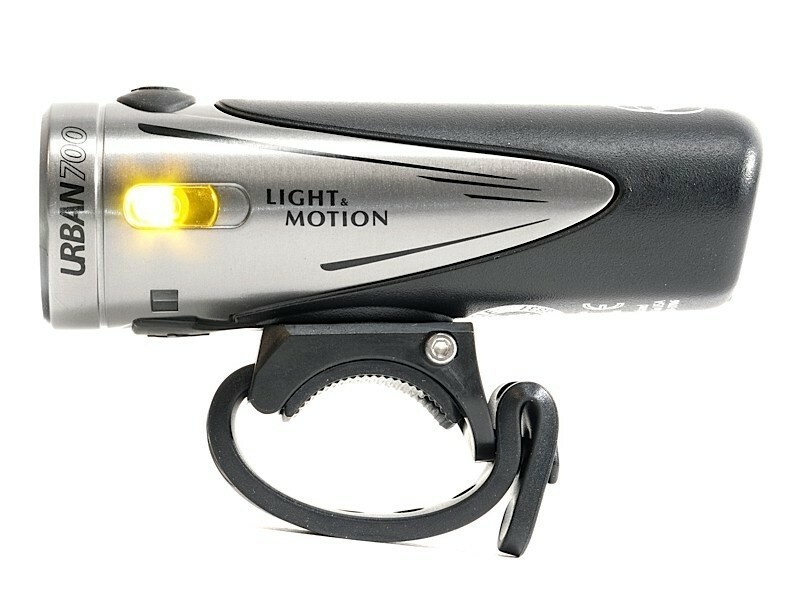 This may be one of the best deals you can get on a headlight, and expect the price on the Urban 550 to go down as the new 700's become available.